"I swear to you, there are divine things more beautiful than words can tell." I can't help but think of this quote by Walt Whitman every time I visit the Grand Canyon. It's impossible to be looking out over the Grand Canyon and not think about how incredibly beautiful and amazing and wonderful the world is. We are so lucky to get to live on this planet where beauty like that exists. 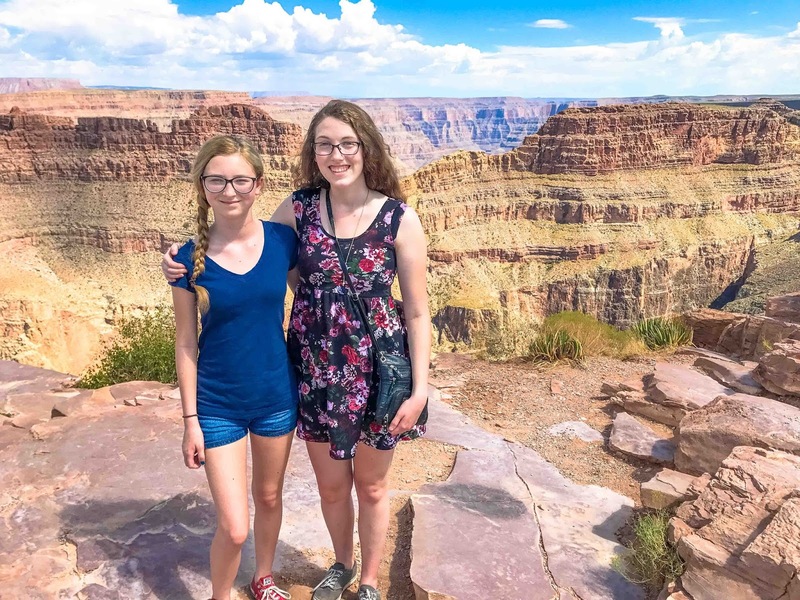 After our Hoover Dam side trip, we drove a few hours west to hit up the Grand Canyon West. I've been to other parts of the GC, but my family hasn't, so I was really excited for them to get the chance to soak up the scenery. The tour that we went on offered a bus ride to 4 different scenic areas, 3 of which overlooked the canyons and 1 with an old western town feel that offered picturesque ground views (I will share that stop another day). The tour wasn't cheap at $50 a person, but for the views it was well worth the price. After the first stop in the old west town, we were dropped off where the new sky walk was built not too long ago. Since it cost extra to walk out and we were told we couldn't take any loose items (cameras, phones, etc.) we opted to skip walking on it, but we still enjoyed looking out from its surrounding areas. If you want to be reminded of how small you actually are in this world, take a trip to the Grand Canyon. It is so vast, you feel like speck of dust in the grand scheme of things. It's totally humbling. 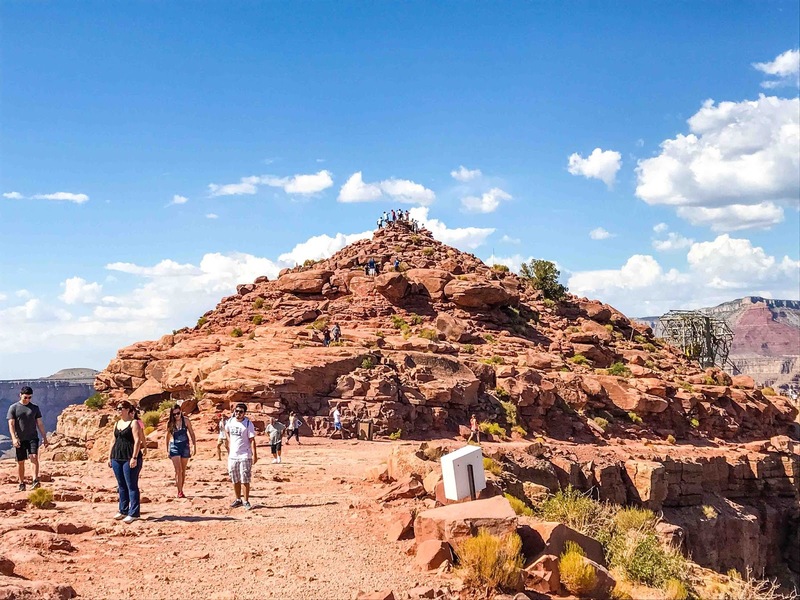 We were also chauffeured to Guano Point (which translates into poop point because of all the bat droppings that were discovered there by the founders) where we noticed a huge pyramid shape stone structure that Mariah was itching to climb. It was about 111 degrees that day so a climb didn't sound very appealing to the rest of us, but we hiked up anyway because we knew that the views were going to be the payoff for all that extra work. Jason and Allison decided not to climb to the highest point since there was a large crowd, but the extra people up there wasn't stopping Mariah. 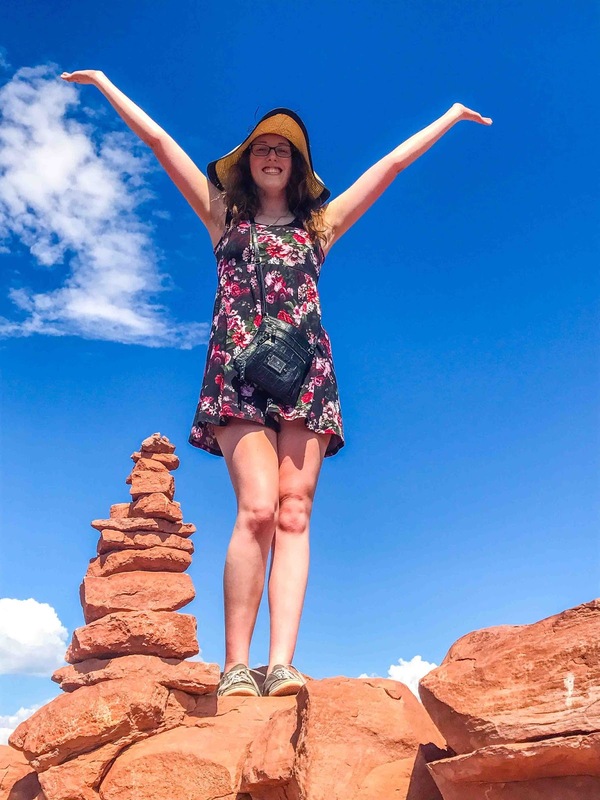 Girl wanted to be standing on top of the world, and that's what she did. We did notice a lot of rock stacking at Guano Point too, which was quite fun to run across. 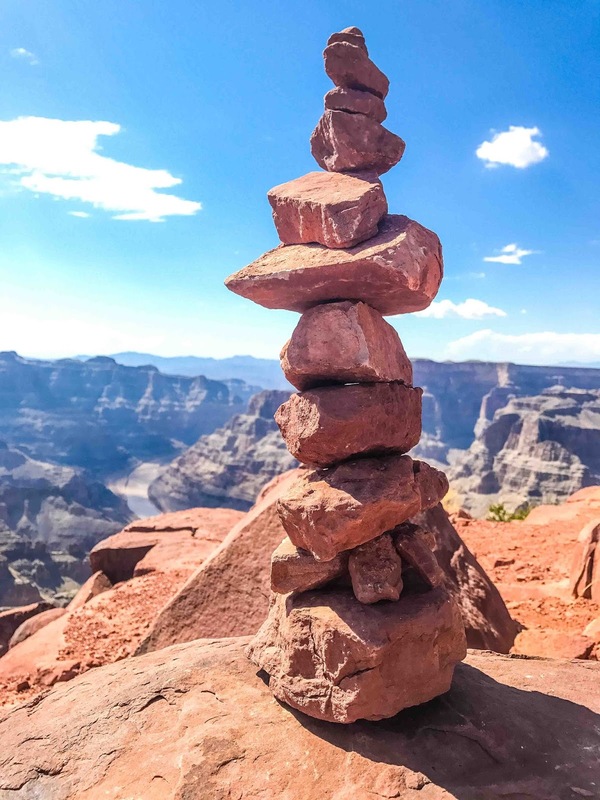 When you visit the Grand Canyon, be sure to just enjoy the moment. Sit in silence. Put away the camera for a little bit and just soak in all of the beauty it has to offer. Just look and see. 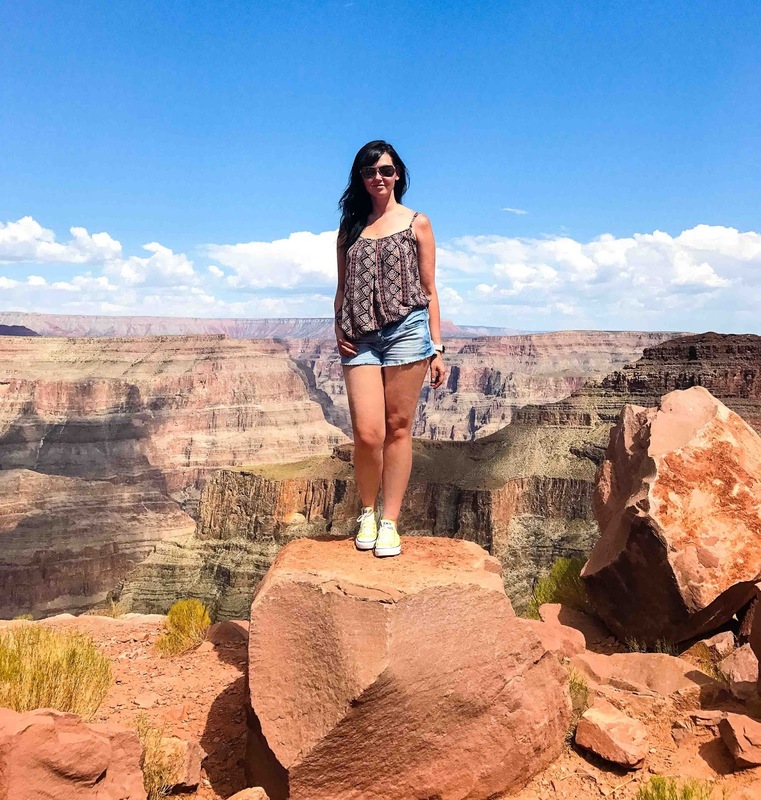 Have you been to the Grand Canyon? If not, is it on your travel bucket list? That first photo is really breathtaking, deary, sell it and make postcards of it! How lovely seeing you and Jason together on a photo, aren't you a hot pair, indeed? I wouldn't go anywhere near that glass fence, it would give me such jeepers creepers, I'd never walk those glass pathways that the Chinese have over canons and cliffs. Heights give me chills. How is Mariah doing in her first week evah at college? I hate heights too, but force myself to look when I know that the views are going to be worth it. We did the glass floors in the tall buildings in Chicago and Toronto. Always makes my tummy queasy, but it is neat to look through once you can catch your breath again. College life seems to be good. She said she has some really awesome professors and is enjoying classes so far. We'll see how that changes around finals time though lol. Don't say never. You and Daisy are still so young, you've got lots of years to plan cross country travels. All the layers of rocks are so pretty! Some great photos of your family too. It looks like you guys had fun. I haven't been, but we went to one of Utah's National Parks that looked similar. My husband's been to both. I'd love to visit Utah's parks too. You guys are so lucky to live within reasonable driving distance to some beautiful parks. Would sure make you feel like a speck of dust indeed. I knew what guano meant haha as long as there was no bat poop to get on your shoe. Good for her to climb all the way to the top, other visitors be damned. Great shots indeed. I didn't see any bat poop, but then again, we didn't explore any caves so there could have been piles of it somewhere down there. What a spectacular place to visit and the view is something else judging by the photos. Really nice of you to share. Greetings! The views were amazing! Thanks for stopping by Blogoratti! It's a shame for an Arizonian not to see Grand Canyon on a regular basis! Such spectacular views and scenery. I will be planning a visit soon! We've been to several state parks, but we haven't made it to the Grand Canyon yet. It's on the list, though. 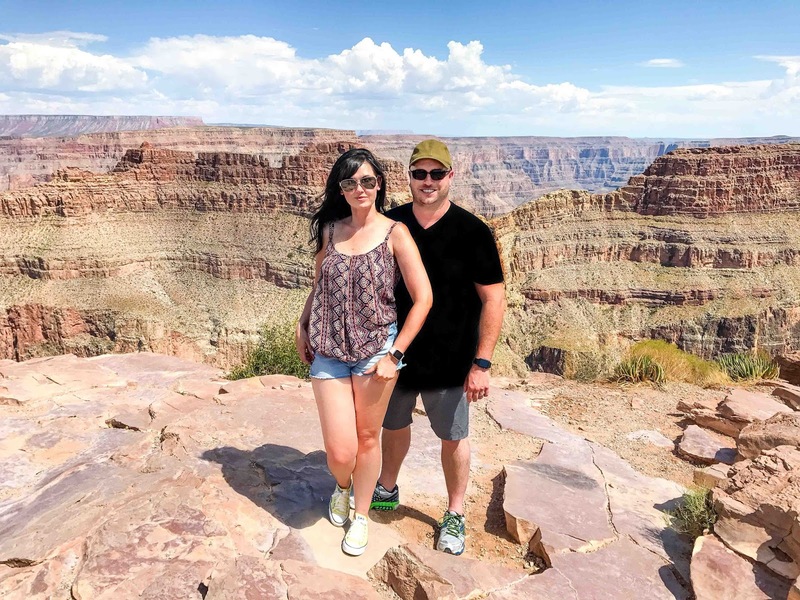 We love the Grand Canyon. The kid love to go out on the lookout. It freaks me out a little, but I do it, too. You can't beat the view! Those sky walks freak me out too sometimes. If it didn't cost extra and if we could have taken our cameras, I would have sucked it up and walked out though. All of the pictures are amazing. I have never been to the Grand Canyon, but I would love to go and see it in person. it looks amazing just through your photos.. can only imagine what it's like to see it in real-life!! Do hope we have a chance to visit in the future.. I do hope you get the chance some day, Ai. Then again, I hope I can explore Singapore someday too! Grand Canyon is definitely on my travel bucketlist! Its a must do I will one day for sure! It's so beautiful! It's amazing how it is formed and yes, we are blessed to see those wonderful places and just be in awe. This is so on my bucket list to go with the kids. It's so breath taking, I'm loving your photos! I have always wanted to see the Grand Canyon. My husband said I would love it. WOW! The Grand Canyon will always be one of the most breathtaking places that I've ever visited. It's worth the journey and it's so nice to take the kids there to see it as well. Have not been, but have always wanted to - it's another that is on my bucket list. One day I hope to make it out west. Lots of states out there I want to see. Love the photos - I'm sure as beautiful as they are, they don't do it any justice. We did 3 states this time around and while it was a great trip, I think I prefer the slower vibe of the southern states. We were on the fence on what part of the country we wanted to move to in a few years, and we completely ruled out the west because it's so busy! 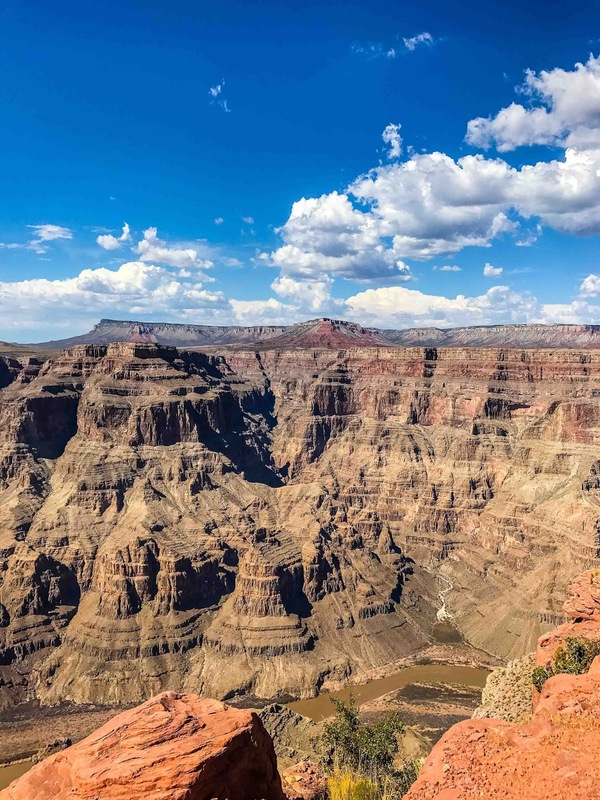 WE are always in awe when we see the Grand Canyon. You sure did choose a good spot to visit it too! Walt Whitman is pretty amazing ;) One of these days I will get to the Grand Canyon. I think everyone should witness all of the great things the earth to offer. There is just something about natural beauty. I agree. Though you are very lucky to be surrounded by such beauty up in MI too! 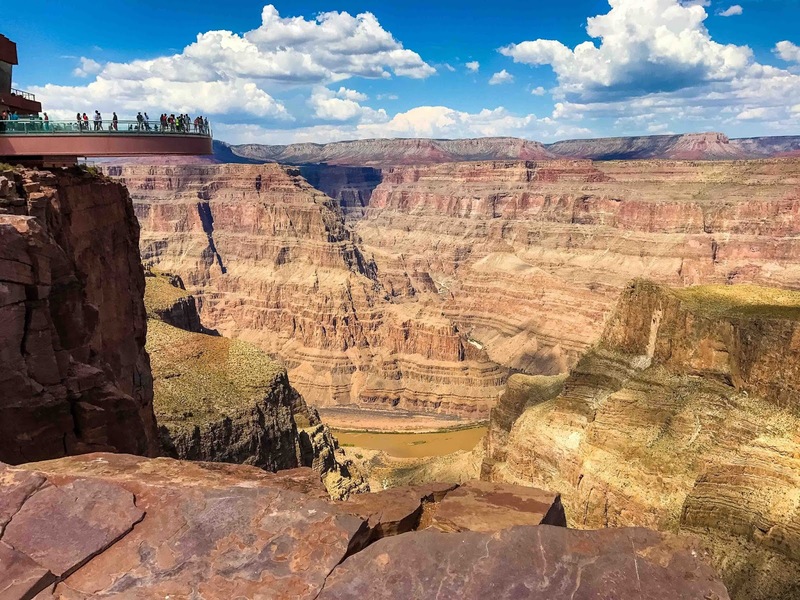 I am always awestruck by natural formations like the Grand Canyon. It sure is nice to be there. I hope I do get a chance. And yes, if I do get there, I will just sit and look and wonder at all the beauty around me. Your pictures of the Grand Canyon are glorious, Theresa! Kudos to Mariah for climbing to the top of the rock pile! I've been the Grand Canyon a number of times, more to the North Rim than the south. To me, it always speaks of time. 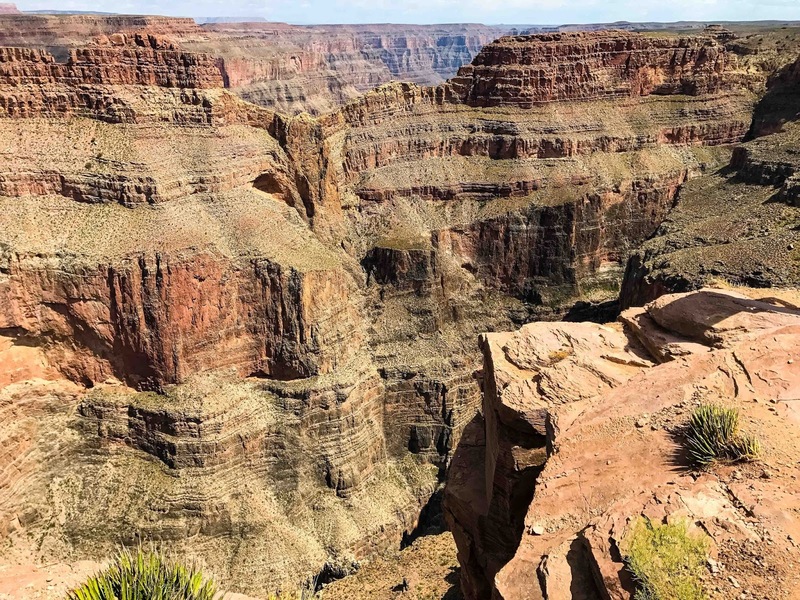 Current thinking is that the canyon is about 70 million years old, but for many years it was thought to be a much younger 6 million years old. The oldest rocks that the canyon cuts through are about 2 billion years old. That makes a human lifetime seem minuscule as well as the canyon's size makes a human seem tiny. Have a good one! Yes, it definitely speaks of time! Isn't that so interesting how old the canyon is thought to be? You truly do feel so tiny standing in the middle of its grandeur. Gorgeous pics!! I have flown over it and seen it from up high on a trip to Vegas that had a TX layover. I haven't seen it in person. Pretty sure I'd be doing the Army Crawl on saw on your Instagram if I wanted to look over, lolol. So not kidding. I am terrified of heights, so it was easier for me to look down from my tummy. However, I did stand and look down, but I was at least 10 feet from the edge at all times and still felt very queasy! The Grand Canyon never ceases to amaze me. It is just so majestic in all its beauty! I would love to visit the Grand Canyon again. It is just amazing to marvel at all of nature's beauty. Lovely, is like am gonna visit this place for my next summer vacation.